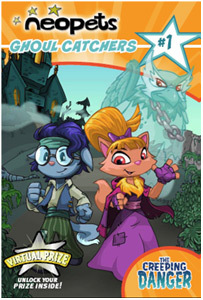 With the release of Neopets books came mini quizzes for a free book each on Neopets- And, lucky you, you won't have to go buy the books as they're all right here! The titles of the books are just below them! Puzzles, games, and activities - straight from Neopia! Find the highlighted words throughout the book and receive a virtual prize! In this mini quiz, simply fill in the words in the blanks as they are shown below. 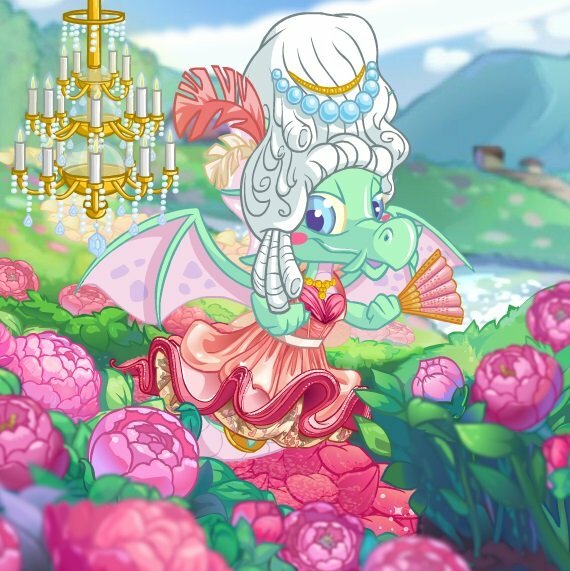 Draw your favorite Neopets! 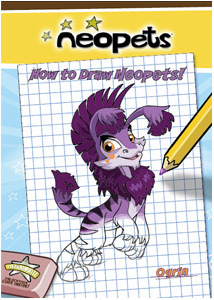 Follow the simple step-by-step instructions, and learn how to draw Kacheek, Ogrin, King Altador, and many more! Answer trivia questions about the book to receive a virtual prize! 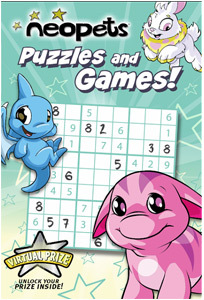 In this mini quiz, you will be shown three neopets how to draw steps from different pets, each with three pet choices. Select the correct pet for each image. Note:In the next three mini quizzes, you will be given three of the questions listed for each with three answer choices. Pick the listed answer. Discover the lands of Neopia! Join Rufus, your tour guide, on an expedition through eight lands of Neopia! Answer trivia questions about the book and receive a virtual prize! Q: In Altador's Hall of Heroes, what statue is directly across from the statue of Kind Altador? Q: Many citizens of Brightvale have waited long lines to visit with King Hagen. When they reach his throne, they only find a single sign. What does the sign read? Q: On the way to tour Meridell Castle, Rufus J. Wanderwart bumps into Barnaby-a fellow explorer. Barnaby asks about a specific place. What is the name of this place? Q: Rufus J. Wanderwart's grandfather wrote a book. What is the title of this book? Q: Rufus J. Wanderwart loves The Lost Desert's fascinating history! He was about to tell a tale of heroes and brave deeds when he was interrupted. Who interrupted Rufus? Q: The book, 1001 Spells for You, comes in handy while traveling through the Haunted Woods! According to the book, what is the best way to banish a ghost? A: Scare his pants off! Q: While traveling through Meridell, Rufus J. Wanderwart takes an unusual detour. Where does he take his travelers? Nomis Quest, the 1st book in the Grey Faerie series, chronicles Nomi's journey through the vast - and sometimes dangerous - lands of Neopia. Will Nomie be able to face the perils of the Haunted Woods and regain her faerie power, her memory, and her way back homme? Answer trivia questions about the book and receive a virtual prize! Q: Edna the Witch agrees to give Nomi a special spell. But first she needs Nomi to bring her three ingredients for her potion. What are they? Q: How did Ullia fight off the Skeith? Q: Mayin gives Nomi a special present. What is it? Q: Nomi orders a sweet treat at Faerie Foods. What is it? Q: The first time Nomi sees Balthazar, she notices something perched on his shoulder. What is it? Q: What does Telos use to steal Nomi's faerie essence? 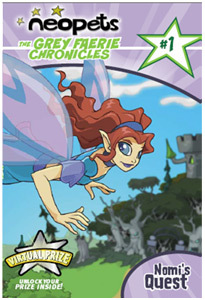 Q: What is the grand prize in the Faerie Festival? 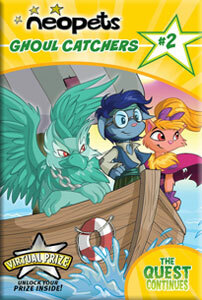 Q: What three species of Neopets does Nomi spot while flying over the Neopia Sea? Q: What was Nomi's answer to the Brain Tree's question? Q: When Nomi first arrives in the Haunted Woods, she meets an Eyrie that helps her. What is the Eyrie's name? Q: When Nomi was released from Balthazar's jar, what immediately happened? The Creeping Danger, the 1st book in the Ghoul Catchers trilogy, chronicles the journey of two young heroes who set out to save their village. With the help of their new friend, a ghost named Kyrok, will they be able to restore life to the drained and barren lands of Neopia? Answer trivia questions about the book and receive a virtual prize! Q: Gnarthwal was hiding in a haunted castle. Who does the castle belong to? Q: Sarn hears a soft sound when he first enters the Haunted Woods. What is making the sound? Q: Sarn travels into a cave to gather potions from a magician's lab. Who is the magician? Q: Something brushes against Sarn's leg when he jumps into the Old Swimming Hole. What is it? Q: To receive information from the Brain Tree, Sarn must first correctly answer a riddle. What is Sarn's answer to the riddle? Q: What is Cramdill's favorite kind of pie? Q: Who is a better tree climber? Sarn or Liva? Ghoul Catchers - The Quest Continues? In this second book of the Ghoul Catchers trilogy, Liva, Sarn and Kyrok are more determined than ever to save their beloved Neopia! With perilous adventures ahead and enemies at every turn, will they succeed in sending the evil ghouls back to the prison world? Q: What is the name of the King of Brightvale? Q: In the Prologue, Kyrok begins experimenting with magic, using the spells in Professor Vinsjin's diary. What is the first spell Kyrok tries? Q: Where does Gnawthral live? Q: What does Liva use to trip up two ghouls? Q: How do the ghouls stop Sarn from escaping on the journey up Terror Mountain? Before their journey to Terror Mountain, Liva, Sarn and Kyrok stock up on supplies from the Healthy Food Shop. Which item was not on their shopping list? How do our heroes get to the village at the bottom of Kiko Lake? Q: What is the name of the island on which Liva, Sarn and Kyrok become shipwrecked? Q: What do Liva and Sarn argue about with Kyrok when they are in the Ice Caves? Q: What is Sarn doing when he is captured by the ghouls? Q: What are ghouls afraid of? Q: Kyrok and Sarn almost fall off Terror Mountain. Why? A: There is an avalanche. Note: This item is untradable. 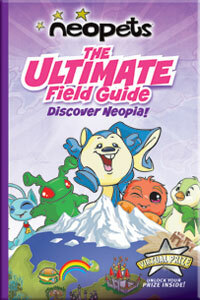 Discover the answers to all of your Neopets questions in this exclusive tip book! Chock-full of fun facts and data, here is everything you've ever wanted to know about Neopia. Q: Where would you go to search for the Deserted Tomb for treasure? Q: Where is the Secret Ninja Training School? Q: Which of these games is NOT an action game? Q: Where are Grundos created? Q: If you are hurt in battle, where can you go to recover? Q: What might you get for free at Coltzan's Shrine? Q: On what island are dubloons used? Q: How often is a new issue of The Neopian Times released? Q: Where do Cybunnies live? Q: What is the maximum number of weapons your Neopet can take into battle? Q: In the game Maths Nightmare, whose alarm goes off when your time is up? Q: Where should you put your Neopoints if you want to earn interest on them? Q: What will you find at the Rainbow Pool? 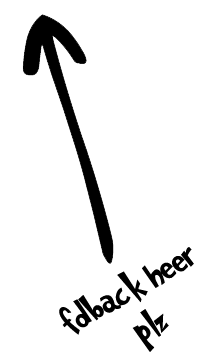 Q: Which weapon is more expensive, a Bone Scepter or Unstable Slime?